My favorite? A 40+ year-old tan top Wurlitzer Electronic Piano A200, refurbished by Vintage Vibe, those NJ-based Wurly and Rhodes repairers extraordinaire who are also famous for their fabulous bespoke instruments (so see them at NAMM this week). Prior to playing my first real Wurlitzer A200 while working with Jim Ebert (also the instrument’s owner) on an album with Crooked Crow at Cue Studio‘s Red Room, I had only ever played digital representations of electronic pianos on keyboards or VSTs in my studio. (This track, Wurlitzer in Moonlight, was written about ten years ago using a now-ancient version of Lounge Lizard.) The difference in the “real” one was startling: I could feel a very subtle but definite buzz beneath my fingers when the power was on, and without power, you could still hear its lovely dark music-box bell tones clunking beneath the plastic case. In other words, it was a REAL and LIVING instrument at all times, not just a lifeless slap of dead plastic, cheap buttons and lights, and sterile keys. When I recorded one of my own tracks on it some time later, I knew I had to have one for myself and Vintage Vibe offered a high-quality refurbished instrument at a competitive price. Falling in love with the Wurly. Soon after I purchased my own Wurly, I noticed an immediate change and improvement in my songwriting; deeper creativity in my improvisations and idea-chasing. As most instrumentalists have probably found, the difference in sound or feel from one instrument to another can affect or enhance a performance and forever alter the way a new or fermenting song develops under the influence of a unique new sound. 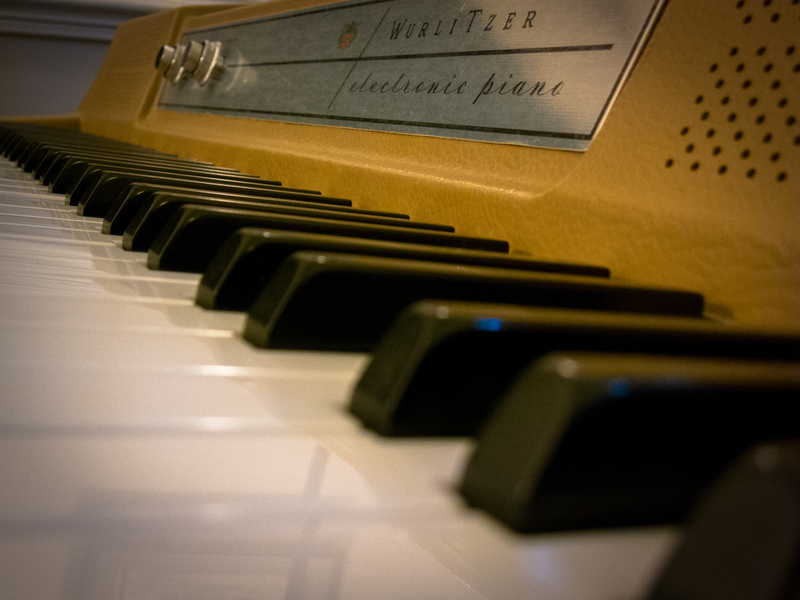 More specifically, the very organic and analog nature of the Wurlitzer’s unaltered, hand-fitted tines leads me to compelling new voicings and dissonances that wouldn’t occur to me at the piano or on a keyboard. I also find it unique in terms of its post-attack decay time. 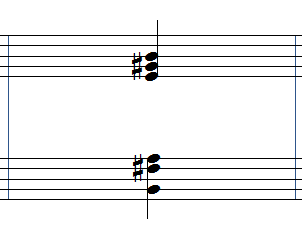 The long, pure sustained notes ring out evenly and decay very slowly without requiring a harsh initial attack. This, along with a very precise and delicate action, gives me a great depth of feeling and color for soft or moderate-velocity playing and intricate inner voices. It’s probably what I imagine a velocity-sensitive organ might feel like. I grew up playing (and still play) a lot of Bach, and the Wurly responds well to precise finger-pedaling (and this compensates for its only drawback: the sustain pedal is not as forgiving or precise as one on an acoustic piano). At home in my dining room / performance hall… Photo by Ian Weddell. How does a real Wurly A200 sound compared to a virtual reproduction? 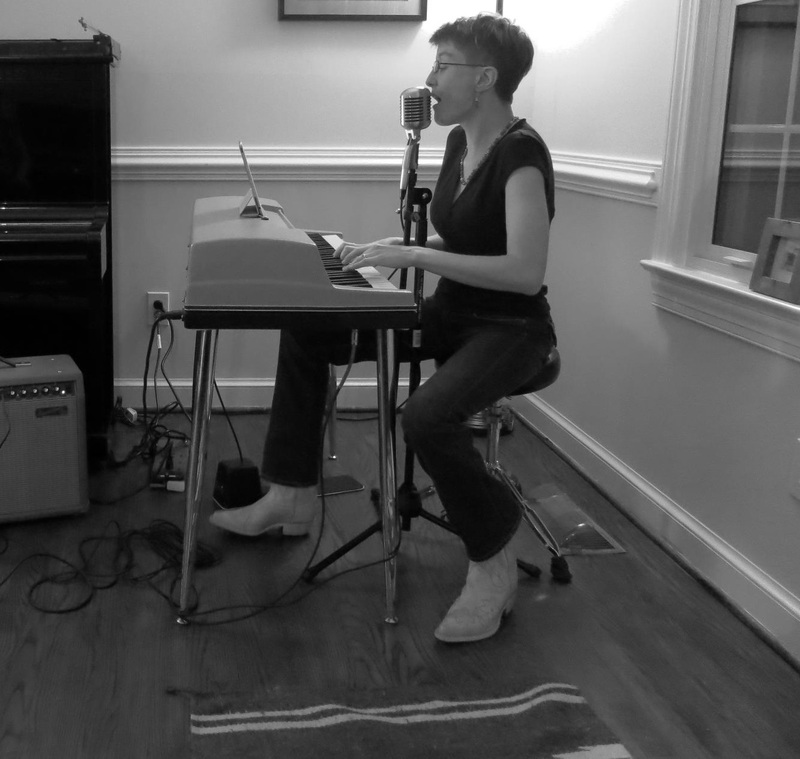 So, once I had it all down, I started to build a demo at home before going to the studio. I recorded the Wurly in my house with an instrument out running through an M-Audio FastTrack Pro into Nuendo. Note: The final recording has plenty of post-processing, but what you’re hearing here is an MP3 from the pure unaltered WAV. This is little sequence of Wurly-only excerpts of the song’s intro, the 2nd verse, that little chord I like from one of my solos, and an overdub higher-register part in the bridge — again, recorded pure with a little vibrato on-board but otherwise no post reverb or anything else. Now compare the above Wurly sequence to the same sections played with Native Instruments Elektrik Piano 1.5 > Authentic Instruments > A200 > Pure. Vibrato rate and volume was comparable to the Wurly. Release noise was moderate. First, some caveats: 1. My Elektrik Piano 1.5, still offering a very reasonable reproduction of the A200 and other vintage instruments, is three or so years old. As always, even higher-quality samples are available now from the excellent folks at NI, such as the Scarbee Keys series. 2. I performed this through my studio MIDI controller, a Yamaha MO-8 with weighted keys. I love the action on it for my acoustic piano, but it can be a little randomly oversensitive, throwing an occasional high-velocity value from time to time. 3. I didn’t practice these sequences prior to recording today the way I did with the live Wurly version. 4. Polar vortex #2 brought single digit temps to my “Southern” state of Virginia. My hands are freezing! Here’s what I noticed in both listening and playing. 1. The Vintage Vibe Wurly (VVW) has what I consider to be a more even action and a more predictable and precise range of velocity response when I play a note than the Native Instruments Wurly (NIW). This may be more of an issue for the MO-8, but nevertheless I had a very difficult time reliably reproducing G4 (G above middle C) in particular at the exact tone I wanted on the NIW. 80% of the time, it sounded too loud and bleed-y, not mellow. G4 stood out as a weird note. 3. The decay time felt shorter on the NIW and this definitely affected the way I performed. I had a harder time gauging when I should release some notes. It always feels natural on the VVW. My VVW has Vintage Vibe’s own improved amplifier and vibrato — that probably does have an impact on how long a tine vibrates and resonates after being struck. This is probably the hardest thing to explain and qualify. Should you get an A200 of your own? That’s the $2,500-to-$6,000 question, which is probably the range you should consider for a good quality instrument. Wurlitzers have tines that I believe to be fairly sensitive and which require tuning with drops of solder. One of the reasons I sought out Vintage Vibe is that they do a thorough refurbishment of A200s, including cleaning, tuning, replacing, or improving everything that moves and makes noise, including adding that new vibrato and amp with custom toggles for the vibrato speed (yes, it was worth it), plus adding a line out and a headphone jack among other things. I knew I’d plan to record with mine, so I wanted a clean and on-pitch instrument. Shipping it from New Jersey (or from wherever else you find one) can add to that cost. Meanwhile, if you’re traveling, short on funds or room, or less of a key-based performer, the VSTs from NI and other manufacturers are damn close to the real thing, and that’s much better than nothing. After all, who but a rare few can really tell? Vintage Vibe will be at booth 5410, Hall B, at Winter NAMM 2014 this week. Say hello! Native Instruments, in its 15th year, is not on the exhibitor list this year. *Full list and timeframe acquired where otherwise embarrassing (italics = acoustic instruments).